· Pilates – especially beneficial for those recovering from physical injuries. Remember that most private health insurance policies provide generous financial support for physiotherapy sessions – please contact us for further advice. Mary Byrne Physiotherapy is fully dedicated to the treatment and prevention of musculoskeletal injuries including sports injuries, neck and back pain as well as biomechanical disorders (hip, knee etc.). We are also very pleased to welcome to Stephen Gillman, Chartered Physiotherapist, to the practice – Stephen has extensive career experience in both the public and private sector, specialising in all aspects of musculoskeletal and sports physiotherapy. Mary Byrne Physiotherapy firmly believes that success is all about collaboration and so the combination of her long-standing experience, expertise, patient empathy and understanding in tandem with your trust and commitment creates a successful partnership that always means that we will reach your goals. Call Mary Byrne Physiotherapy today on 086 334 4021 or email marybyrnecork@gmail.com and be assured of receiving the support and expertise you need. Mark practices from his home-clinic which is located in the Glen of The Downs in a beautiful woodland setting. 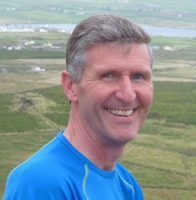 He also sees patients on Wednesday afternoons at the Dargle Clinic Bray. Mark has a special interest in Fertility, stress related illnesses and also nasal problems like sinusitis/rhinitis. He is also a herbalist. He has worked as an acupuncturist for 18 years and as a herbalist for 10 years and believes both acupuncture and herbal medicine are very effective for many conditions. Mark leaves 1 hour for each appointment and likes to keep a relaxed atmosphere where people can unwind and de-stress while working on their health related challenges. Relaxation, Recuperation and Rehabilitation in a private and tranquil setting. Kate has been a qualified acupuncturist for over 15 years, and treats from her peaceful home-clinic in Swordlestown, Naas. She treats a wide range of conditions, calling on her background in acupuncture, Chinese tuina massage and aromatherapy. Kate has particular expertise in pregnancy and fertility treatment, and is able to provide the right physical, nutritional and emotional support to minimise stress and enhance overall wellbeing. Visit her website to learn more and to book an appointment. Smiling Body Clinic. Helping people achieve better health, movement, freedom and wellbeing through traditional Chinese acupuncture techniques. 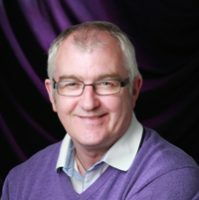 James is both a practitioner and lecturer of Chinese medicine and available to help you. Make an appointment by phone. Please leave a message if he cannot answer due to clinic. 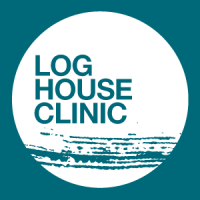 Log House Clinic is based in the seaside town of Tramore, Co. Waterford. We provide Acupuncture, Herbal Medicine and Physical Therapy treatments for all your family. We treat all health conditions such pain, headaches & migraine, digestive, allergies, stress & anxiety, sleep problems, sinus, infertility Male & Female and childrens conditions. We have specialist training in Womens Health – Gynae, Fertility, Obstetrics & Menopause. Other areas of special interest and training is Pain Management and Sports Injuries with Master Tungs Acupuncture and Dr Tans Balance Method. The Avenue, Gorey, Co. Wexford. 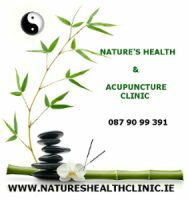 Aine Delaney is a registered acupuncturist with qualifications in Acupuncture and Traditional Chinese Medicine from the Acupuncture Foundation of Ireland, and post graduate training from Nanjing University in China. Aine has practiced acupuncture for over 23 years. Prior to this she practiced nursing and midwifery in Ireland and South Africa. While living in the U.S, Aine obtained a diploma in Acupuncture from the Midwest College of Oriental Medicine, Chicago, passing the American State Board Examinations. 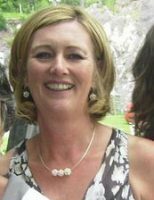 Aine is a professional member of the Acupuncture Council of Ireland and she also works as an Acupuncturist in the Sims Fertility Clinic in Dublin, supporting couples undergoing fertility treatment. Claremorris Natural Therapy Centre, Ahena Organic Farm, Claremorris, Co. Mayo. Natural & Integrative Healthcare for all the family. Monday-Saturday / All Year Round. By Appointment Only! We are discreetly situated on our farm 4 miles from Claremorris town which is apx. half way between Galway & Sligo Cities (N17). Easy to find- (see google map) with ample parking spaces to our purpose built Therapy Centre. We offer a full range of multi-disciplined therapies here including – Acupuncture & Traditional Chinese Medicine (incl. Moxa, Cupping & Light Tunia Massage, Dietary Advice, Ear Candling & Patented Herbal Formulas), Quantum Bio-Dynamic Healing with BioFeedback (SCIO), Complex Homeopathy & Light Therapy which also involves Electro-Acupuncture & Needle-Free Soft Laser Acupuncture. 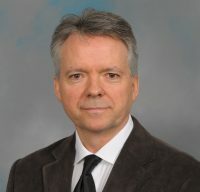 My husband Oliver Dixon MIAHIP offers the Psychotherapy / Counselling Services. 20 Years experience. Currently doing Doctorate studies/ PhD in Natural & Integrative Medicine. Classes: Sulémahí Meditation Arts. Our Regular Senior Class – Mondays @ 8pm in Claremorris Natural Therapy Centre. Welcare Foundation,50 Merrion Square East, Dublin2. Qualified in Acupuncture & Traditional Chinese Medicine but also Physical Injuries. Please check out my website for more information or feel free to call me if you have any queries. Experienced Chinese doctor, specialized in treating Frozen Shoulder, Sciatica and other pain symptoms. Jutta Brassil is a Physiotherapist/Acupuncturist, LIC.AC , Member of The Acupuncture Council of Ireland, ACI TCMCI. Acupuncture and Chinese Medicine are her core therapies at Natural Balance Acupuncture Clinic. 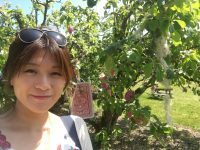 Jutta includes her experience of Physiotherapy, also offers Massage, Auricular Acupuncture, Electro Acupuncture, Moxibustion and Cupping, Chinese Patent Herbal Treatment, Acugraph Analysis, Cosmetic Acupuncture, Allergy Testing, Phytobiophysics, Advise on Nutrition and Lifestyle Changes. Jutta works 30 years in health care and feels a commitment to achieving optimal health and vitality by aiding the full balanced expression of your being. She feels acupuncture is an energetic healing art. Jutta chose Chinese Medicine since it reflects her belief in the Taoist philosophy of harmony, oneness with nature and every living being and self-reflection. Jutta qualified in Acupuncture and Chinese Medicine in The College of Integrative Acupuncture, Galway, where she also has been a part time lecturer for five years. She did further training in Obstetrics & Gynecology in Chinese Medicine with Giovanni Maciocia, Anastacia White and Trevor Wing. She studied Chinese Herbal Use with Efrem Korngold, Giovanni Macocia and Anastacia White. Jutta attends CPD on a regular base to further her knowledge and expertise in Chinese Medical Treatments of Western Diseases. Jutta trained in Phytobiophysics under Prof. Diana Mossop and includes this therapy in her Clinic. Jutta is a Reiki Master and a Practicing Shaman. She completed Shamanic Practitioner Courses with experiential Holotropic Breathwork. 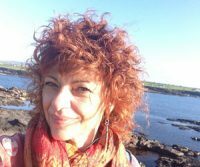 Jutta trained in The Irish Centre for Shamanic Studies in Dunderry, Co. Meath, practices Shamanic Breathwork and is certified to practice as a Shamanic Counsellor. She trains with GTT Grof Transpersonal Institute in Holotropic Breathwork. Jutta is a member of The International Breathwork Foundation IBF. With view in dealing also with the spiritual aspect of an illness she offers well-rounded healing modalities. Jutta feels honoured to provide healing methods for your physical, emotional, mental and spiritual well being. NATURAL BALANCE ACUPUNCTURE CLINIC created a tranquil space for your treatments, beside enjoying the spectacular sea view, you may rest after your treatment in our lounge enjoying refreshments of your choice. We provide ample free parking space for your convenience. We facilitate appointments 6 days per week from 9am-8pm. 2 sunset place, Killeens, Blarney, Co cork. I specialise in eliminating chronic pain for professional women with Fibromylgia. Blue Turtle Clinic offers a homely atmosphere in the countryside. Peg Cronly is a highly experienced Acupuncturist and Bowen Therapist. She qualified with the first class to be trained in Ireland and completed Advanced Training at Nanjing University of Traditional Chinese Medicine in 1988. She has been a member of the Acupuncture Council of Ireland since its Foundation. She also practices Tuina, a form of acupressure massage. 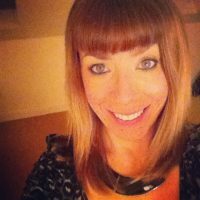 She is an Accredited Practitioner in the Bowen Technique from the European College of Bowen Studies (1999), has a Diploma in Counselling, Psychology and Therapy (NUIM 1997), a Diploma in Eating Disorders (2007) and an Advanced Diploma in Obesity (2009). Rear 2 Mountain View Road, Ranelagh, Dublin 6. Clare McSharry, the proprietor of http://www.theacuzone.com, will help you deal with many issues including infertility, IVF, sinus/sinusitis, insomnia, stress, anxiety and menstrual problems. Clare has had a number of clients who are now pregnant as a result of IVF combined with Acupuncture. Clare trained in The Lansdowne School of Acupuncture under the excellent tutelage of Dr. Vincent Carroll. She graduated with a Diploma in Traditional Chinese Medicine and a Certificate in Clinical medicine. She has done additional training in Auricular acupuncture (which helps people stop smoking) and Cosmetic acupuncture. Five element Acupuncture Treatments based a few minutes from the seaside village of Dunfanaghy in Co Donegal. Call or email Lee to book your first treatment and find out more information on this wonderful system of medicine!